Wednesday 18 February 2015 at 7:30 p.m.
Three speakers will explain their research to a bunch of people in the pub in exchange for a pint or two. See The PubhD Format and About pages for more information about what to expect at an event. Leslie Bode (Archaeology) is a second year Archaeobotanist PhD student in the Department of Archaeology studying hunter-gatherer diets in Jordan. Renata Seredynska-Abou Eid (Media) is in the Department of Culture, Film and Media. She is researching Polish immigration to the UK in a broad sense, beyond just migration statistics. Ciaran O’Hare (Physics) is a PhD student at the Nottingham University Centre for Astronomy and Particle Theory. He is working on the detection of dark matter. simple format and is popular with both punters and speakers. Leicester Skeptics In The Pub hosted the very first PubhD Leicester event as a one off. One of the speakers at that event, Katie Dexter, loved the experience so much that she’s decided to make PubhD Leicester a regular thing. Katie has created a website and a Twitter account and is now looking for volunteers to speak. If you are a PhD* student (in any academic area) and are interested in explaining your work to a friendly audience in a pub in exchange for a pint or two, please get in touch. The next event is on 26 February and PubhD Leicester plans to run monthly after that. *Or a EngD, or a EdD, or have already completed your PhD, or a post-doc (basically, want to talk abut any research that you’ve been involved in!). 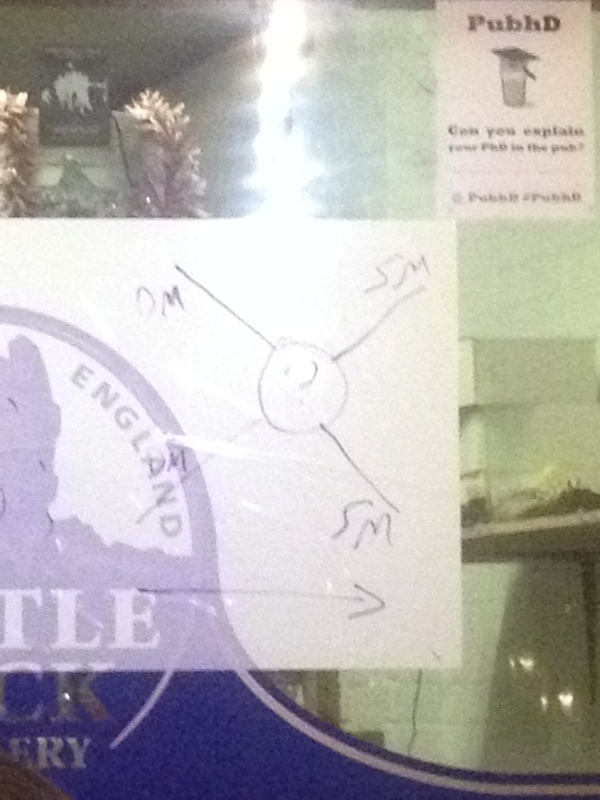 Can you explain your PhD in a pub in Manchester? PubhD is a monthly event that showcases local research to the public. It has a very simple format and is popular with both punters and speakers. 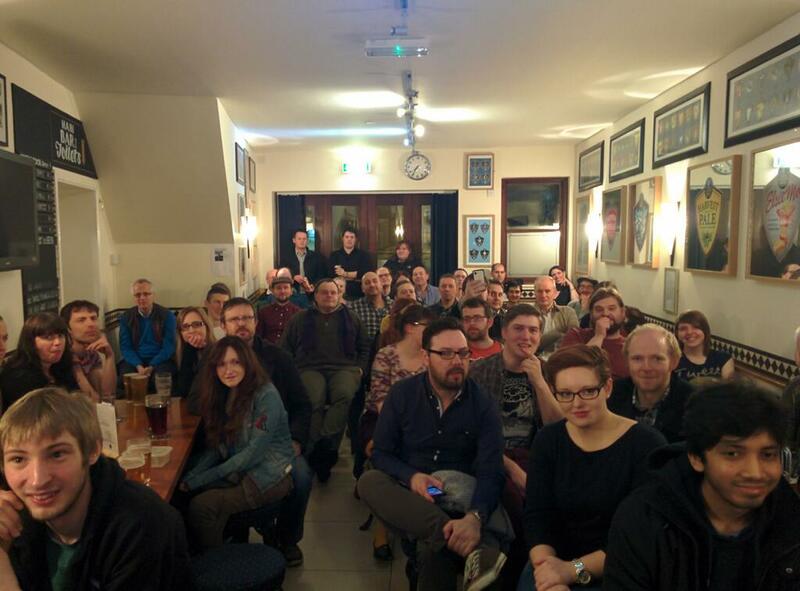 PubhD Nottingham has been going for a year now. Over 30 local researchers have spoken about their research to a pub full of interested people. Events have also taken place in Lincoln, Glasgow, Sheffield and Leicester. Now, Manchester is about to join that list. If you are a PhD student, or postdoc, at the University of Manchester, MMU or Salford University, and want to speak at PubhD Manchester, please get in touch.